It’s one of the oldest automotive brands and has one of the simplest yet most recognisable badges around, the three pointed star. It’s Mercedes-Benz. The lineage of Mercedes Benz can be traced back to 1886, when the world’s first recognised gasoline/petrol powered automobile was shown by Karl Benz. Financed by Bertha Benz, Karl’s wife, the Benz Patent Motorwagen was patented in January of 1886. Based on a stagecoach, the addition of a petrol engine thanks to Wilhelm Maybach and Gottlieb Daimler later that year would revolutionise personal travel. The Mercedes automobile was first marketed in 1901 by Daimler-Motoren-Gesellschaft (Daimler Motors Corporation) and the brand itself was effectively created by Emil Jellinek, an automotive entrepreneur, in 1902. He named a 1901 built 35 horsepower vehicle Mercedes, after his daughter. Jellinek was marketing and selling the “horseless carriage” into the high society areas of Europe and to American millionaires in 1901. The name “Mercedes” was trademarked in the same year and in 1926, following the mergers of the companies owned by both Daimler and Benz into one, the first vehicles under the brand name of Mercedes-Benz were released. The pre-war era saw a vehicle called the 770 being produced, a vehicle that would prove popular with the Nazi party. But it was barely a decade after the end of WW2 that the brand released a car that still inspires today. 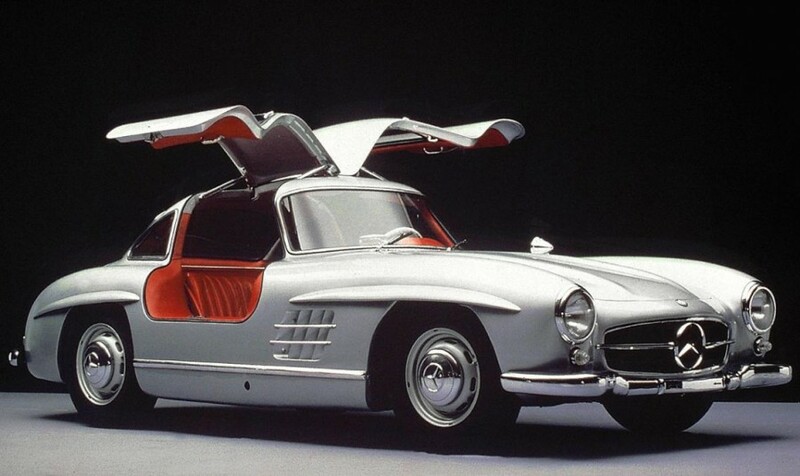 The Mercedes-Benz 300SL, a two seater with a 3.0L six cylinder and four speed manual, was a coupe with a difference. Rather than doors that hinged to swing the doors through a horizontal sweep, the hinges were roof mounted, providing the basis for what is called a gull wing design. The company itself has been a major instigator of technology into cars and uses its extensive motorsport history to see innovations such as paddle shift mechanisms find their way into every day vehicles. Mercedes-Benz continue to produce a vast range of vehicles across world markets. An alliance with AMG, a company founded in 1967 by Hans Werner Aufrecht (the A) and Erhard Melcher (the M), and specialising in improvements to Mercedes-Benz vehicles has lead to some of the more spectacular vehicles to grace the automotive world stage. The brand’s logo itself is instantly recognizable. The three pointed star represents the company’s belief that it dominates the air, the land, and the sea. M-B’s slogan is “The Best Or Nothing” and that is shown in its innovations. It’s the first car, the first electric vehicle (1906), the first multivalve engine (1910), even the first to have four wheel independent suspension in 1931. ABS or anti-lock braking system was showcased by the German goliath in 1978. 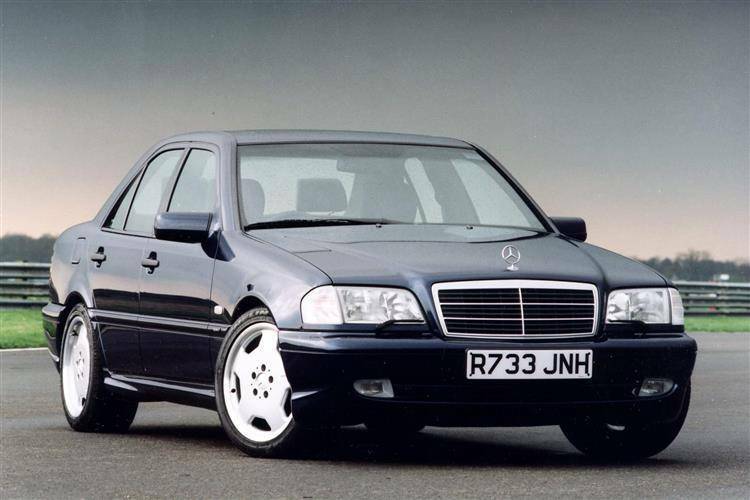 Mercedes-Benz debuted the first stability control program in 1995, and has unveiled innovations such as forward looking infra-red cameras for night vision driving. With a range of vehicles covering entry level passenger, mid-sized luxury, and up to the range and technology leading S Class, Mercedes-Benz continues to be at the forefront of automotive innovation.